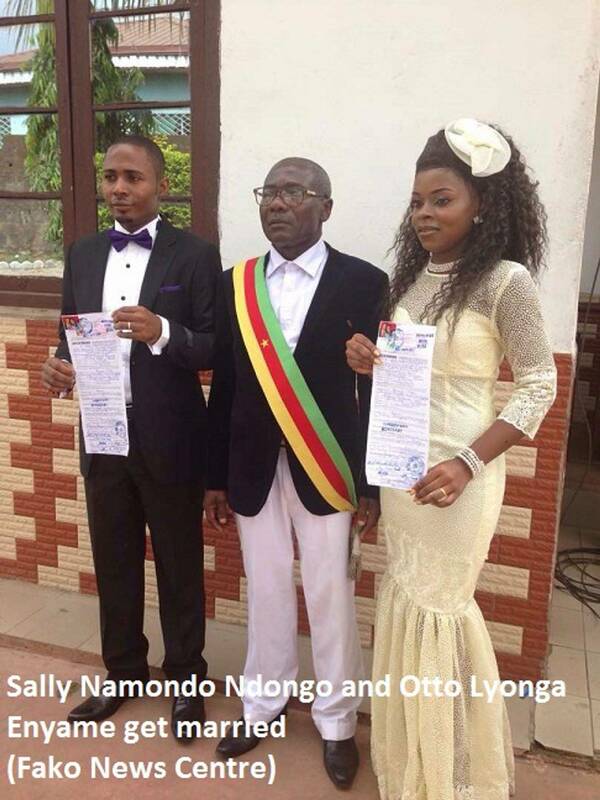 The Bonakanda Royal Palace on Saturday February 3, 2018 played host to the traditional marriage ceremony of Princess Sally Namondo Ndongo and Otto Lyonga Enyame. 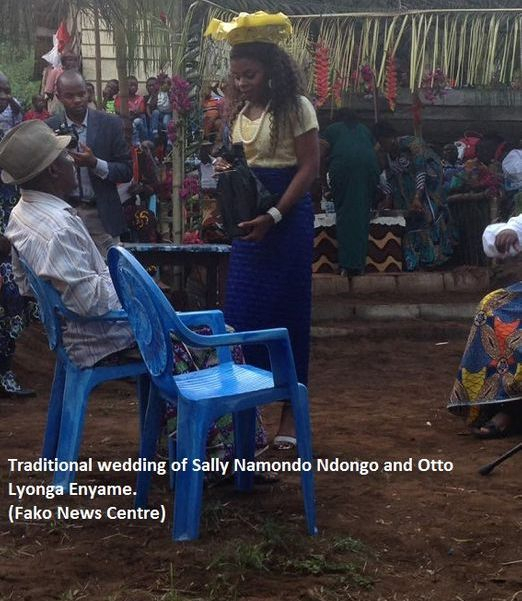 The marriage witnessed the performance of all marital rituals as demanding by the customs and traditions of the Wakpwe (indigenous people of Fako Division, Cameroon). 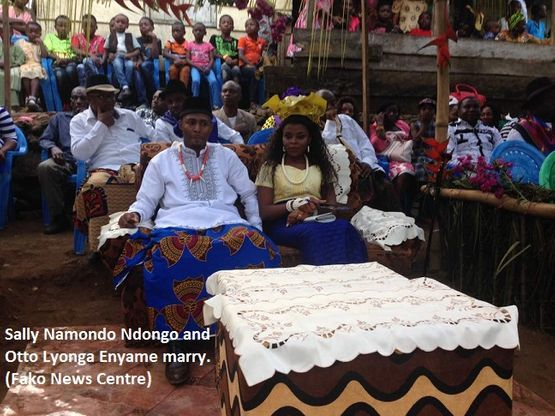 Before the traditional part of the wedding, the marriage between this two was legalized at the Civil Status Registry located at Great Soppo, Buea. Being both having obtained a least a degree from the Department of Journalism and Mass Communication of the University of Buea, Cameroon, the wedding was heavily attended by lecturers, former and current students. A cross section of the Great Soppo community also turned out to witness their son get married to the love of his life, Princess Namondo Ndongo of Wonakanda. Also being a daughter of the Bonakanda traditional palace, the marriage gathered many royal fathers from around Buea Subdivision who are colleagues to her father, H.R.H. Emmanuel Ndongo. Sally recently graduated from the University but, Mola Lyonga is still pursuing a PhD in Journalism and Mass Communication.